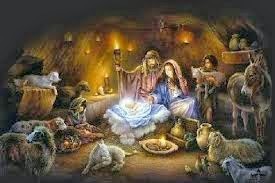 That is Christmas—love, salvation, humility, our Mother Mary, and the simplicity of a stable in Bethlehem. Who among us would not want to be transported to such a place and such a time to catch a glimpse of the holy moment, unencumbered by what has become the shallow trappings of Christmas? It is a time, we can visit through the imaginings in our soul; meditating on this holy night. 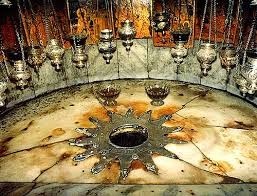 The place, in the Holy Land, is still there, accepting Christian travelers desiring to touch the physical world Jesus Christ was born into and to be touched by him. It is a place deep in my heart and meditations and, yet, while I want to be there, I do not want to go there. My stay-at-home life draws me to stay at home, at least at this time. But I still move closer to Christ and the first Christmas by knowing that the physical world he created and chose to live in, still exists. And I content myself with traveling the way I do best, through books. 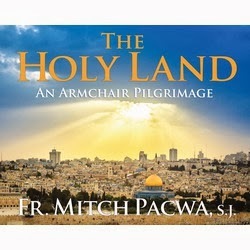 This Advent, I have taken a Christmas pilgrimage through The Holy Land: An Armchair Pilgrimage by Fr. Mitch Pacwa, S.J. With reflections and pictures of Gospel lands, Pacwa has led me from the comfort of my home just as he has led fifty-eight pilgrimages to Israel. 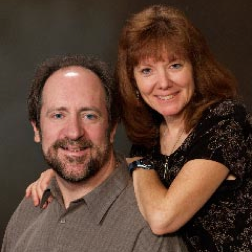 The book includes many of the places associated with the life and death of Jesus, but for Advent, it is the chapter on Bethlehem that I reflect upon. My command of geography and history is no command at all, so I am part inspired and part amazed to realize the extent of preservation from the life of Jesus. Inside the Church of the Nativity, there is a marble and limestone entrance and stairs that lead to the cave where Jesus was born. 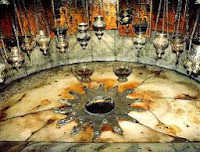 In this cave is an altar built over a silver star embedded in the floor that marks the spot of Christ’s birth. The place of his birth is a physical place that exists through time--from his birth until today. Pacwa explained that during the time of Christ, stone mangers were common. “Two stone mangers were found within this cave by St. Helena; one was taken to Rome and one remains,” he wrote. “At Midnight Mass on Christmas Eve, the Latin Patriarch of Jerusalem places an image of the Christ Child in this manger, where it remains until the Epiphany. Also in this chapter is the commemoration of the Visitation. This was the time when Blessed Virgin Mary visited her cousin Elizabeth while both were pregnant; one with our Savior and the other with the herald of the Savior, John the Baptist. The church there contains the well, where by tradition, Mary met Elizabeth. Caves such as shepherds used to protect their sheep, amid hills and fields surround Bethlehem and give testimony of the simplicity of those who first received the Good News. The book includes the other places that marked the Gospel events in the life of Christ, which began in Bethlehem. 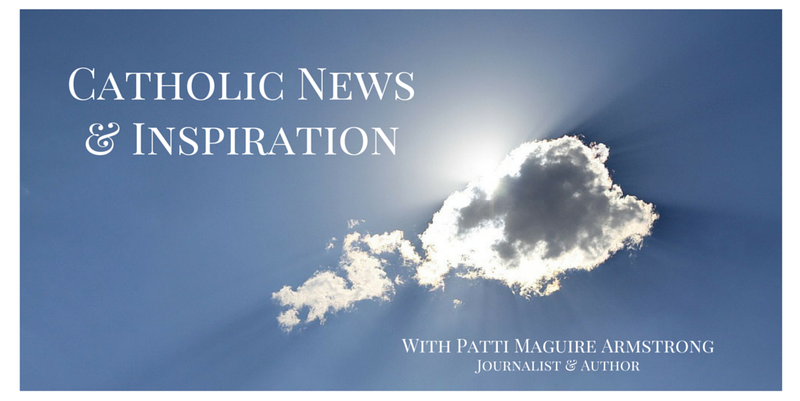 I want to receive that same Good News Jesus brought to us and to live it out. To do so demands that I leave my modern life of comfort and conveniences and contemplate the fullness of Christ’s message to us. Gazing on the world he was born into magnifies his testimony. It is holy preparation for such a holy time as Christmas.